KIEV, August 9. /TASS/. 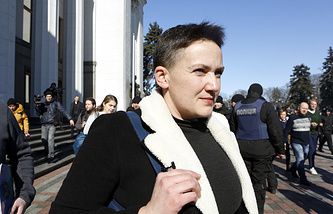 Appeals court in Kiev has considered a petition over the prolongation of arrest of the Verkhovna Rada deputy Nadezhda Savchenko and has reaffirmed the ruling of the court of lower jurisdiction. The judges passed their decision at the end of the hearings that took up two days. 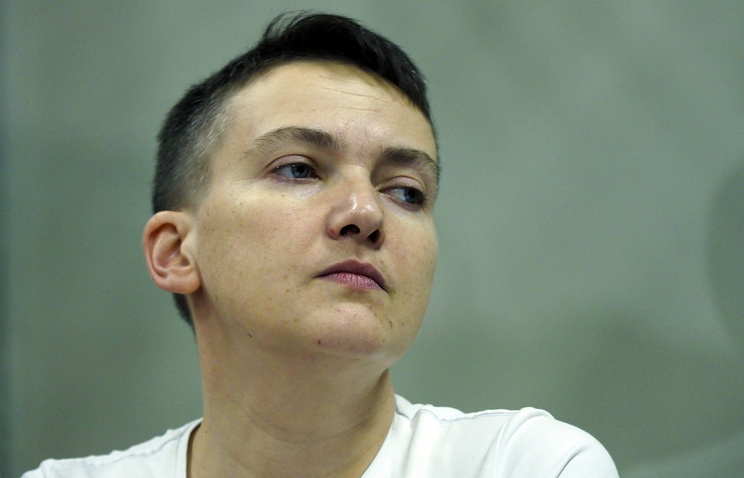 The reaffirmation of the county court ruling means Savchenko will stay under arrest through to September 10. Somewhat earlier, 26 individuals made public their readiness to put up bail for Savchenko but the Shevchenkovsky county court rejected their petition. The Prosecutor General’s Office said on August 2 it had rounded up investigation of the deputy’s case that spins around the charges with preparations for large-scale terrorist acts in Ukraine. Prosecutor General Yuri Lutsenko said earlier trial of Savchenko would begin before the end of this year. Investigators surmise the she planned terrorist acts in the Verkhovna Rada building and in the government quarter. The fellow-deputies revoked her parliamentary immunity and issued permission to detain and arrest her. The county court authorized her arrest for a period of two months on March 23, after which she went on a hunger strike. The judges prolonged the arrest later and turned down an appeal for mitigating the pretrial measure for her.